On November 27th, 2018, the First District Court of Appeal for the State of Florida prevented a Clay County airport from recovering financial compensation for allegedly shoddy construction work that was performed and inspected by a private contractor. In the case of Keystone Airpark Authority v. Pipeline Contractors, Inc., a Florida etc., et al., the court’s majority ruled that the underlying contract explicitly excluded any potential recovery for consequential damages. 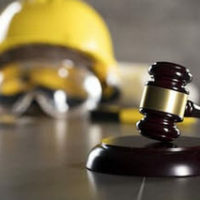 In this article, our top-rated Miami construction litigation attorneys analyze this decision and explain the implications for property owners, developers, and businesses involved in the construction industry. The lead defendant in this case, Passero Associates, is a prominent engineering firm. It was contracted to work on the construction of airplane hangars and taxiways, and to provide other related services at the Keystone Heights Airport. Most notably, Passero was responsible for observing work and ensuring that processes and materials met industry standards. However, not long after the completion of the work, the airport raised a complaint against this company. Specifically, Keystone Airpark alleges that Passero was negligent in carrying out its duties. As a result, concrete on the site prematurely deteriorated. Keystone Airpark sued the firm for the entire cost of repair and replacement. The key issue at stake in this case is not Passero’s alleged negligence, or the existence of the allegedly defective construction. Instead, the underlying dispute at issue before the court was to what extent the plaintiff (Keystone Airpark) could recover financial damages. While Keystone Airpark was seeking damages for the full value of repairs and replacement, Passero countered that the contract excluded recovery for certain types of losses. They noted that the construction agreement only allowed for the recovery of general or direct damages — consequential damages were explicitly excluded by a contract provision. The appeals court agreed with the defendant’s argument. Due to the terms of the contract, Keystone Airpark lacks the authority to recover compensation for consequential damages. In the construction industry, the details contained in a contract always matter. It is crucial that all sides of construction agreements — from property owners and developers to contractors and subcontractors — take the appropriate steps to ensure that their agreements protect their legal rights and financial interests. A seemingly minor provision in a construction contract could potentially have dramatic implications in the event a dispute arises. As this case demonstrates, a provision could even prevent a plaintiff from recovering compensation for certain damages. At Pike & Lustig, LLP, our Miami business law attorneys have extensive experience handling complex construction litigation claims. To find out more about what we can do for you and your company, please do not hesitate to reach out to our Miami law office today at (305) 985-5281 to arrange a strictly confidential consultation. We also have an office in West Palm Beach.